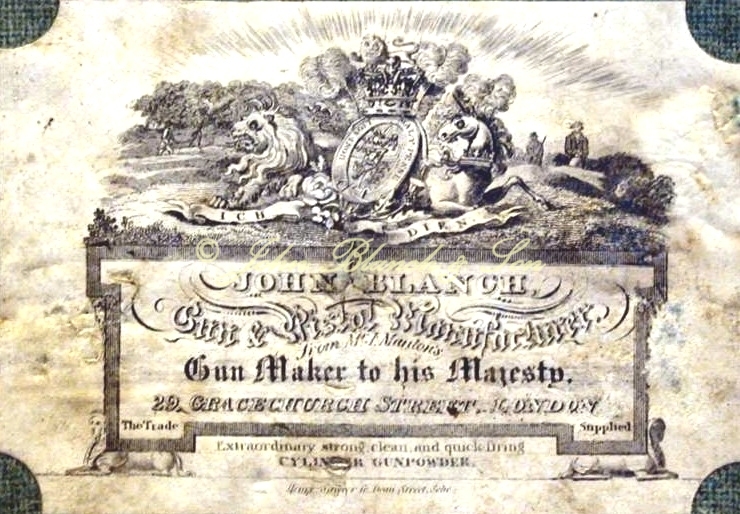 John Blanch was born in 1784 and at the age of 16 was apprenticed to the London gunmaker Jackson Mortimer. On the 2 December 1809, John was married to his master’s daughter, Ann Eleanor Mortimer in Spitalfields Christ Church, Stepney. 1809 also saw Blanch establish his own business from 39 Fish Street Hill. This came after a short lived partnership with his father in law, under the name of Mortimer & Blanch. 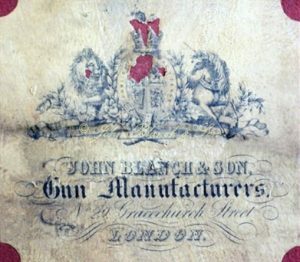 The early years saw John Blanch working mainly for John Manton but he soon became well established and respected as a gunmaker in his own right. 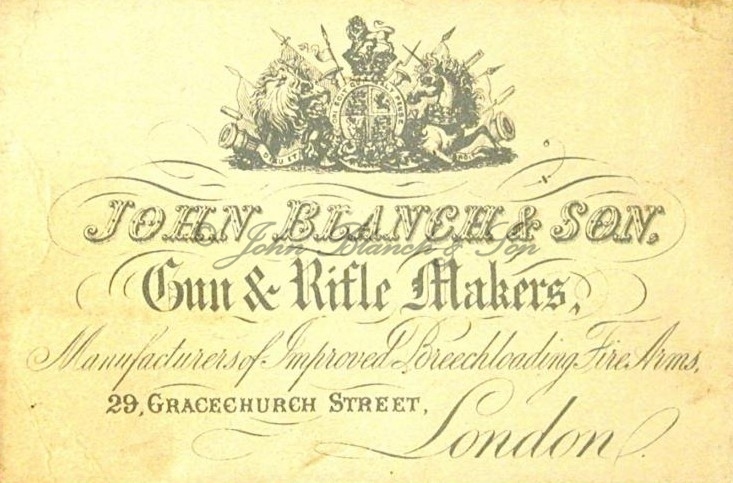 Blanch’s respected standing as a businessman and gunmaker is evidenced by his rapid advancement through the ranks of the Farriers Company, culminating in 1834 with the prestigious appointment of ‘Master’. With his wife, John Blanch had three sons. Their first son, John, was born in 1812 and was apprenticed to his father. In 1836 John moved from London to run the business which his father had acquired from gunmaker Robert Williamson at 26 Silver Street, Hull. However, later the same year John, along with his wife Sara emigrated to Australia and the business in Hull was sold. Sadly John died in 1839, killed in an explosion in his business premises in Melbourne. 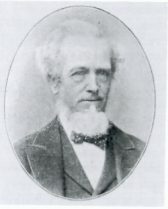 Second son, Henry Mortimer Blanch was born in 1817. Henry too was apprenticed to his father but, like John, Henry did not stay in the family business and, in 1843, also emigrated to Australia. Youngest son William, pictured left, was born in 1822. Like his older siblings, he was also apprenticed to his father and continued to work in the business. In 1848, William became a partner in the business and it was from this point that the company became known as John Blanch & Son. In 1826 the business was moved from the premises in Fish Street Hill to 29 Gracechurch Street where it was to stay for the next 89 years. William Harnett Blanch, son of the late John and Sara, who had been returned from Australia soon after the accident was in 1851 apprenticed to his uncle, William. 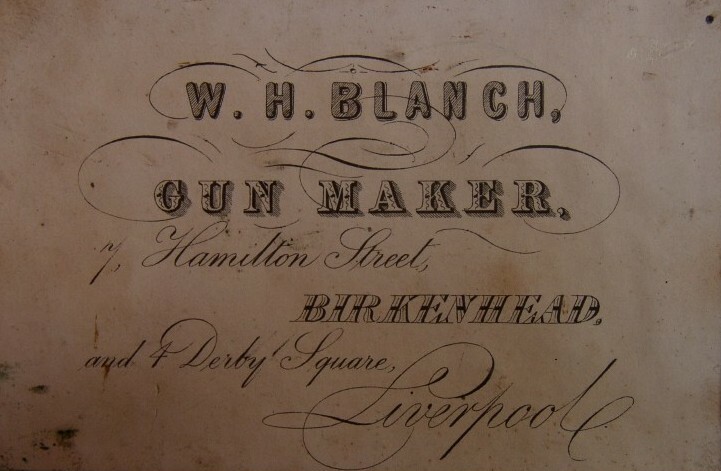 W. H. Blanch later went on to run his own business at 4 Derby Square, Liverpool. By the time that William Blanch died in 1899, his son, Herbert John Blanch had taken over the running of the business. H. J. Blanch authored ‘A Century of Guns’ which was first published in 1909. After almost 90 years and having experienced financial hardship as a result of the first world war, the company moved from 29 Gracechurch Street to 20 Cullum Street, EC3. Thirteen years later, in 1928, there was another move to 96 York Road, Lambeth, the residence of Herbert John Blanch. Three years later, in 1931 the company moved again to 40 Pall Mall. 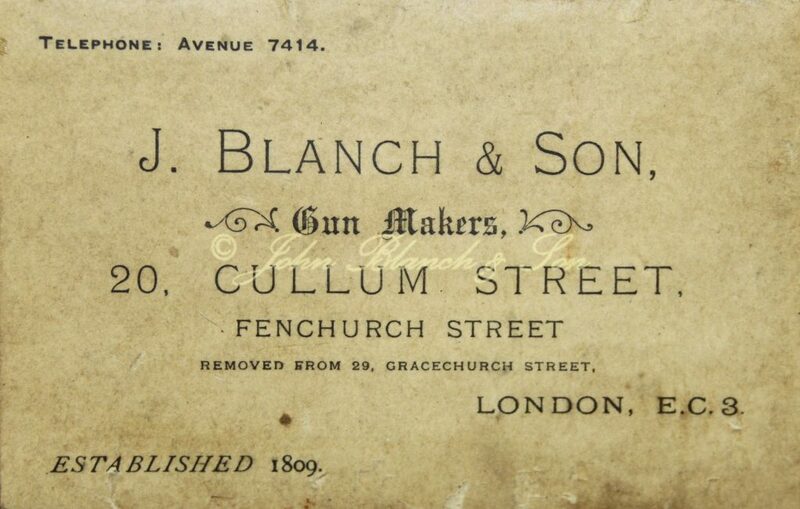 In 1933 John Blanch & Son took over the business of J.Barrett & Son and moved to their premises at 6 Mitre Street, EC1. During the war these premises suffered extensive damage during a bombing raid. After the war the company was being run by Frederick Wood, who was a friend of the Blanch family. 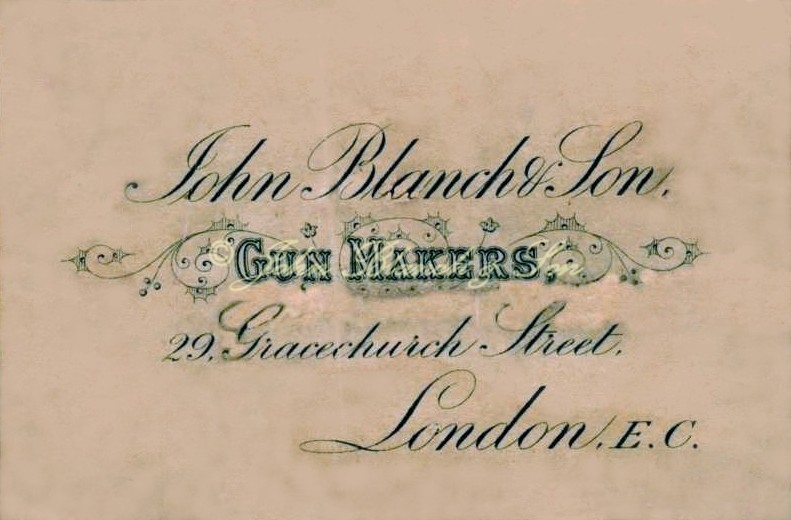 During these years John Blanch & Son did not resume the retail side of the business but were concerned mainly with trade work, for a time sharing premises with Cogswell and Harrison at Lots Road, Chelsea then later operating from Southark Street. As well as considerable work for Cogswell and Harrison, the company also undertook trade work for Churchill Atkin Grant & Lang and others. Frederick Wood died in 1976 after which the company was held by a family member. 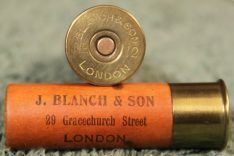 During 2010 the company came under new ownership and John Blanch & Son is again retailing new and used guns, ammunition and accessories and undertaking repair and refurbishment work from our traditional workshops. We would like to thank Bill Blanch (great great great grandson of John Blanch Senior) for some of the family history.